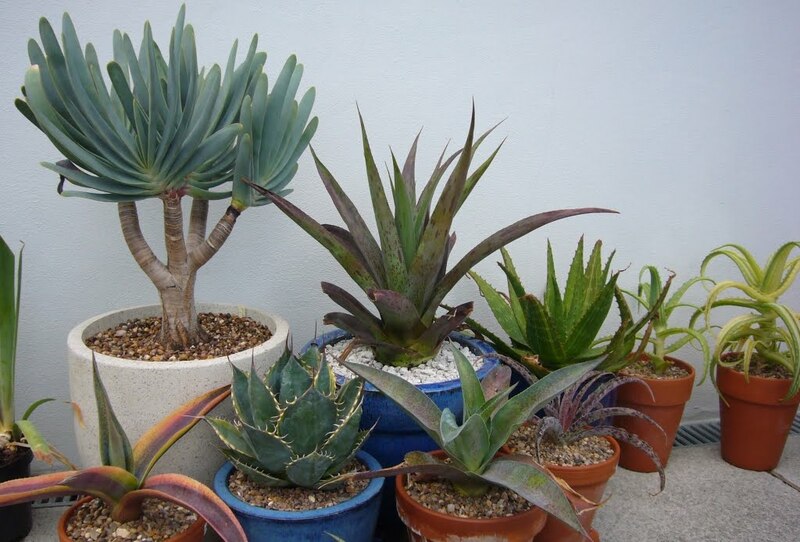 Spiky obsession: You know what they say: never throw a succulent away. 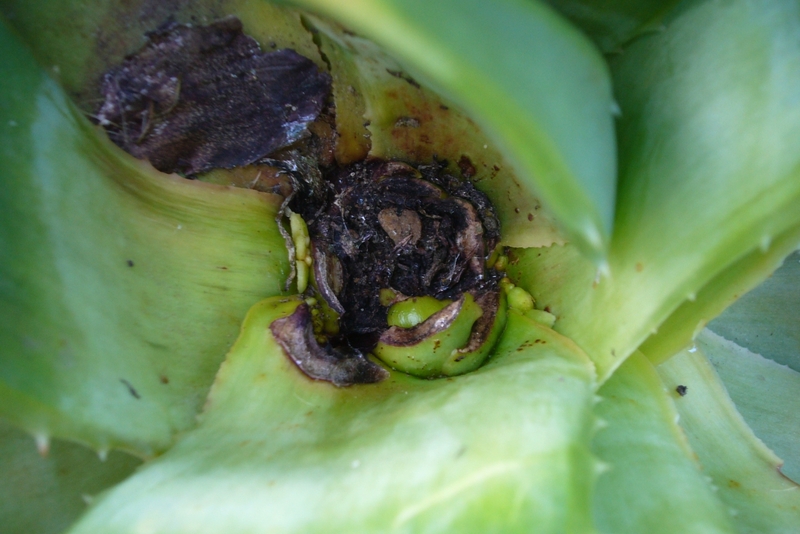 Maybe it should be never throw a core-damaged variegated succulent away. I toss out plenty (A gazillion Agave lophanthas) or I'd be drowning in them. 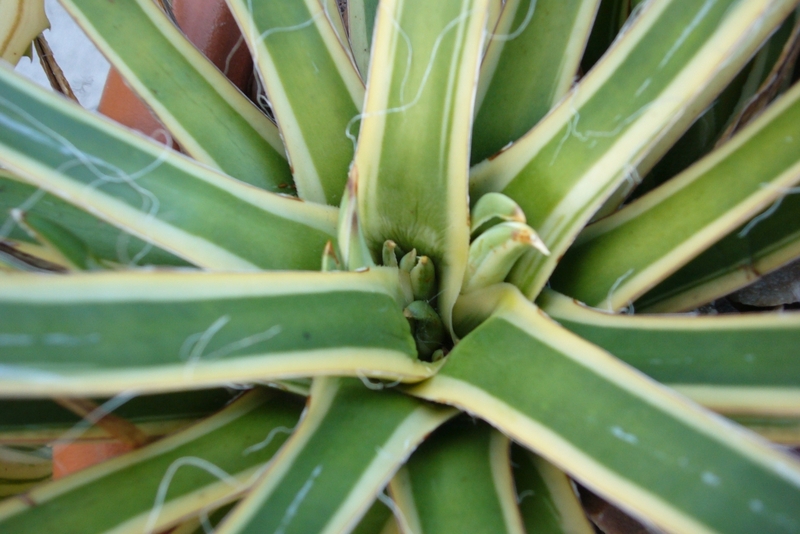 Someone came along and kicked out the center of an Aloe 'Moonglow'; the center produced five rosettes and I was able to root the kicked out center as well. 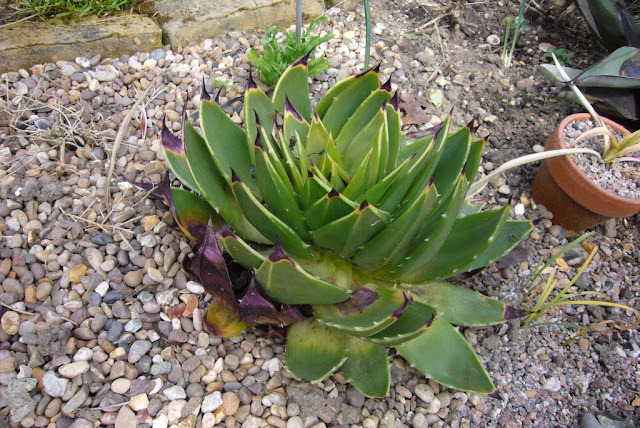 Your main succulent bed looks marvelous! Yep good point. I am going to do a post on what plants are your weed succulents, as I am being over run with agave bracteosa. The method does seem to work on many succulents, even better if you get to keep the center. Good to see you posting again. Having visited recently, the garden is looking great. Thank you. Yours is as well. 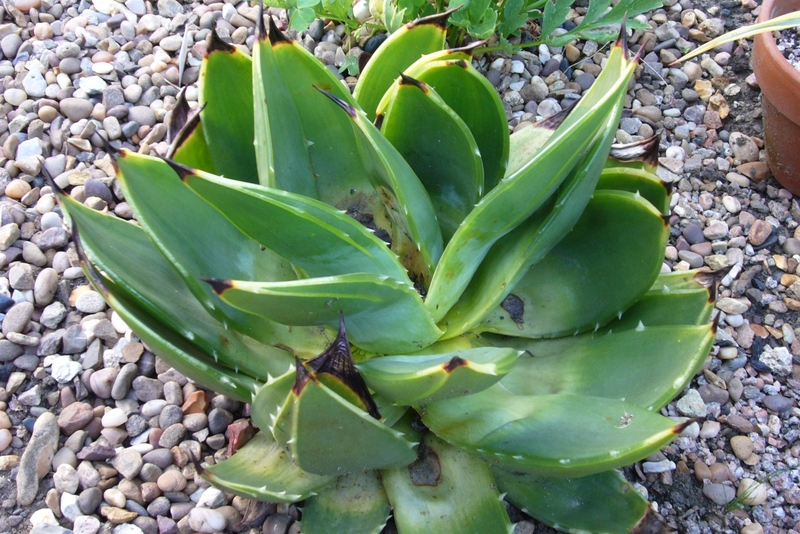 Could be Aloe mite (Aceria aloinis) on the polyphylla. I lost mine that way. No, we don't tend to get hat in the UK, or at east it is VERY rare. Thankfully. This was just winter rot. The babies are growing at amazing rate. Welcome back! How did your Comptons fare over winter? Still trying to understand these in California weather. They did fine, all sailed through in an unheated greenhouse. It seems to be one where you have to figure out what it likes in your location. I can see it struggling in California. 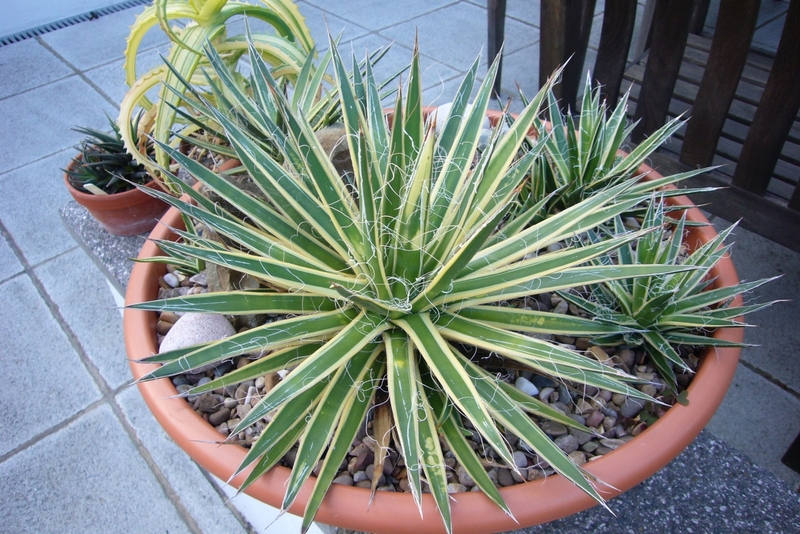 In the pictures of the agave filifera there's another variegated aloe? in the background. What is that gorgeous plant!? 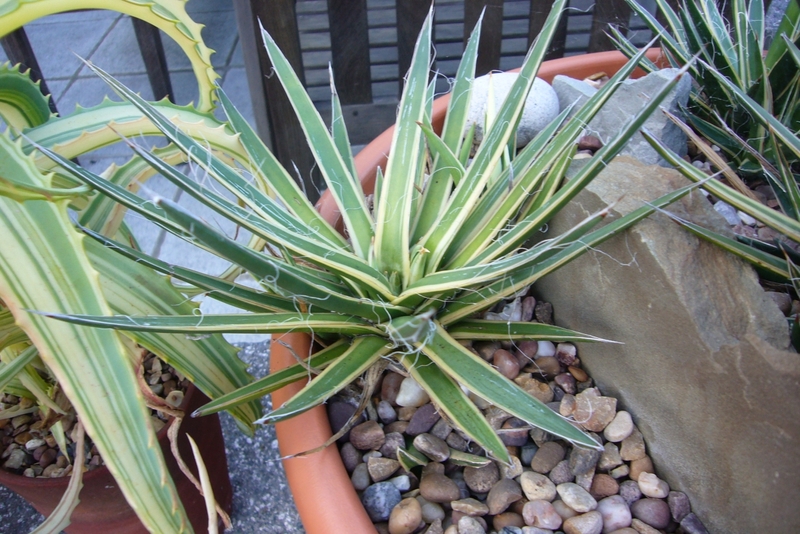 It a yellow variegated aloe arborescens, It turning into a really good plant. You are welcome to pop in if you are ever in london. They are not rare so I would have thought you could get them in the US without problems. That's great to know. I've never really looked into the mail order stuff but where I'm located in the states there isn't much in terms of options. I actually do have friends in London and Grimsby so if we are ever in your neighborhood I will definitely shout. Maybe I can sneak a plant or two across the pond for ya!